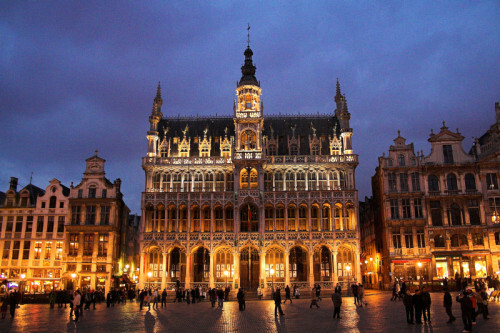 Cheap flights to Brussel from Bratislava/Vienna for only €18! Here’s another amazing option which is available thanks to today’s Ryanair mistake in their mobile application. Return flights from Bratislava / Vienna to Brussel are available for only €18! This price is valid if you book through Ryanair’s mobile app and travel with cabin luggage up to 10 kg. Standard price for this date would be over €50 but because the app doesn’t count any fees and surcharges, you can fly for only €18! Book only through Ryanair’s mobile app. Brussel offers plenty of accommodation which is quite expensive though. There are options for both luxurious and budget hotels and the prices start at approx 20€ per night. If you want to travel around and you prefer to be flexible and free, you can consider renting a car to explore other cities and villages in the neighbourhood. « WOW! Cheap return flights Brno-London for €7!